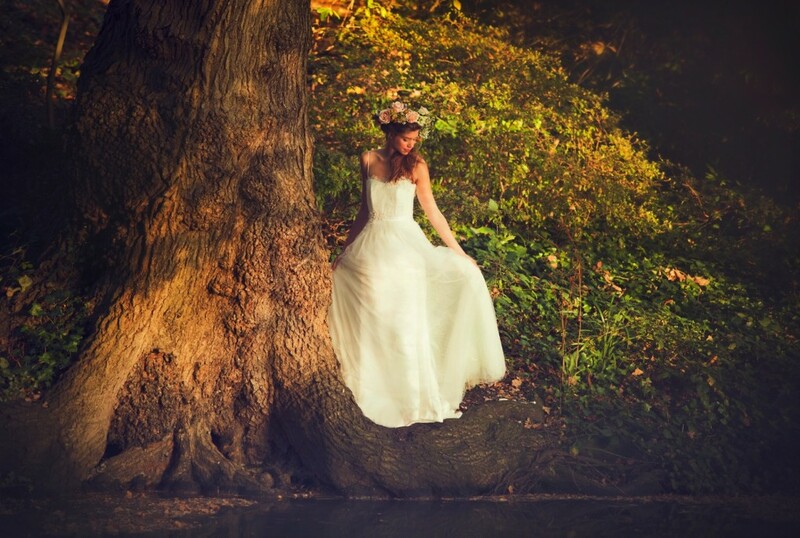 Despite the season’s nip and chill, the warm temperate days of a long Indian summer have provided the inspiration for London designer Shanna Melville’s latest collection of bespoke handmade bridal dresses (www.shannamelville.com). The dresses launch exclusively at her Wimbledon Village-based boutique (14 High Street, Wimbledon Village, London, SW19 5DX) this month. The collection features intricate ethnic beadwork painstakingly handcrafted over 60 hours by seasoned artisans; delicate French lace detail and swathes of opulent Italian printed silk organza – the latter of which has proven increasingly popular among brides-to-be looking to add a touch of regal elegance to their bridal couture. Soft, floaty romantic dresses with full chiffon skirts, muted tones of champagne and blush and daring low backs feature prominently in this collection, which gives a carefree, spirited ‘bo-ho’ chic feel to the final look. Shanna Melville’s bridal couture is handmade in her workshop beneath the boutique by an expert and dedicated team of seamstresses. 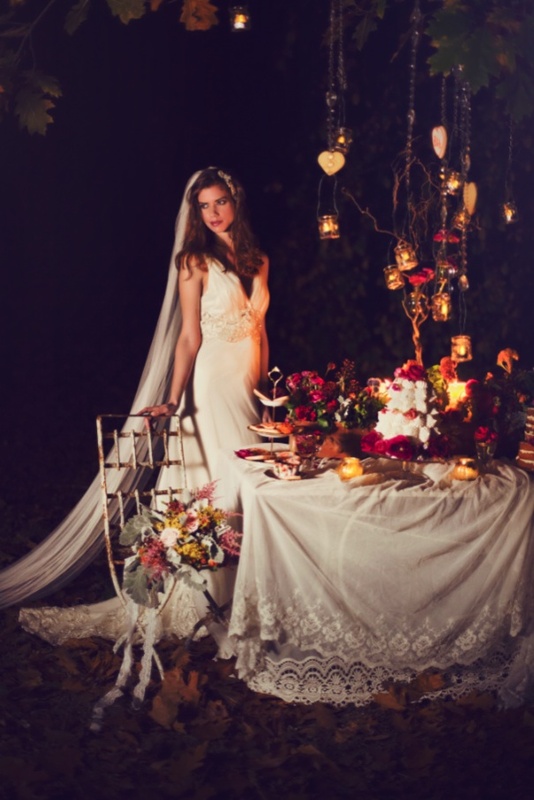 Due to the intricacy and complexity of some of the designs, it can take up to six months – from consultation right through to final fitting – for a wedding dress to be made. Layers of beautiful light silk tulle give this incredibly full and floaty Chloe bridal gown both movement and personality. Featuring a sweetheart neckline and a delicate French quarter lace v-neck embellished with Indian hand beadwork, the overall look fuses lustrous, free-flowing fabric with intricate design that elevates ‘bo-ho chic’ to almost regal heights. A pretty, feminine bridal gown featuring lashings of silk tulle and chiffon to give the dress lightness and movement, but with a structured hand-beaded bodice to provide comfort and support as well as cutting a trim and flattering shape. This ‘sheath’ dress gives the wearer a tall, elegant silhouette and is designed to really celebrate the female shape. Silk crepe and layers of tulle again lends the dress a fluidity of movement. The most arresting feature of the Rose dress is its sweeping low backline framed by delicate French lace and a uniform row of silk buttons that run beyond the small of the back – all of which combine to accentuate yet flatter the curves. A beautiful, free-flowing halter neck wedding dress made with swathes of luxurious Italian printed silk organza. Cut full circle, the Peony dress gives the wearer a tall, elegant shape. The dramatic low backline tapered off at the waist to the small of the back is finished off with a silky length of ribbon tied in a bow, to complete this simple yet stunning look. This is an elegant, vintage-inspired art deco wedding dress cut slim to give the illusion of height. Made using soft silk satin, the Grace dress features ornate beadwork around the torso, a low v-neck to flatter the décolletage, and further delicate beadwork embellishments towards the hem and train that gives the dress a touch of old world glamour. A delicate silk chiffon wedding dress cut slim for a chic and elegant finish. 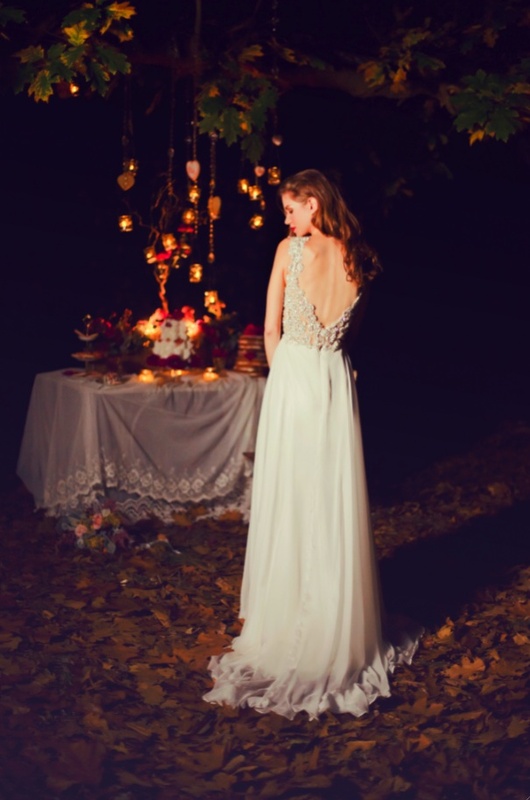 The bodice is intricately hand beaded and features a beautifully crafted low v-back line. To view Shanna Melville’s latest collection in its entirety, and to browse earlier collections, visit www.shannamelville.com. Prices start from £2,000. Consultations are by appointment only. For press enquiries, high res imagery, product loans and further information, contact Andrea San Pedro at ASP PR, email: andrea.sanpedro@asp-pr.co.uk, tel: +44 (0) 7970 468982. 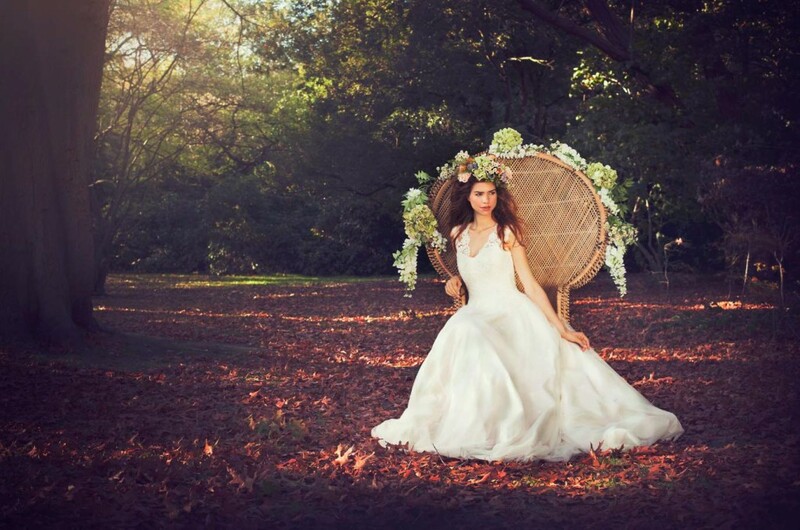 Couture wedding-dress designer Shanna Melville’s bespoke bridal gowns make any bride’s dream come true. Shanna has been designing dresses for twelve years, but it was only after her own engagement did she discover her passion and innate talent for designing bridal wear. 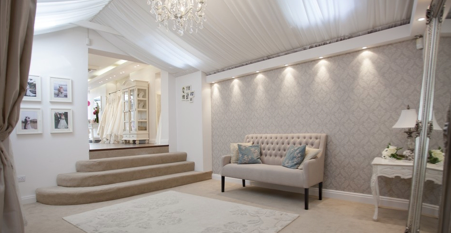 After working with two established designers, Shanna finally opened up her own bridal boutique in Wimbledon Village, London, in 2007. Her gowns are akin to artwork, with a single creation taking up to six months to make using fabric that has been delicately and painstakingly handwoven in her workshop by an accomplished team of artisans. Creative consultations and fittings are conducted by Shanna herself, and she is involved in every step of the process – from planning and design to the finished creation. 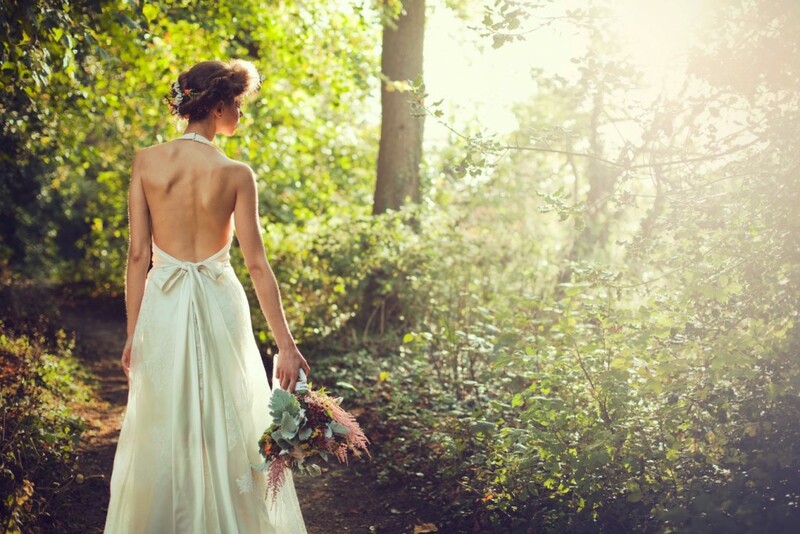 A wedding dress is one of the biggest and most important purchases a woman will make in her lifetime, and Shanna works very closely with her clients to ensure that the vision and dream of the perfect dress becomes a touchable, wearable reality. Expertly tailored to bespoke specifications, the final dress will always flatter and fit the bride like no other garment will. Shanna Melville’s bridalwear collection encompasses a timeless elegance that celebrates femininity and exemplifies exceptional craftsmanship, producing dresses with a style and grace that will never age. Consultations are by appointment only. Prices start from £2,000. Visit www.shannamelville.com for more information and to browse through previous collections.